Tennessee got its first Southeastern Conference win of the season this weekend at Auburn but the win came at a cost. Outside linebacker Jonathan Kongbo was injured during the game and never returned to the field. Kongbo was later seen on the Tennessee sideline supported by crutches. Following the 30-24 win, Jeremy Pruitt confirmed Kongbo was “banged up” but would not get into specifics regarding the linebacker’s status moving forward. Now the team has an answer on Kongbo’s status. According to David Ubben of The Athletic, Kongbo will miss the remainder of the season after tearing his ACL. It would be a tough blow for the redshirt senior who has worked hard to find a home in Pruitt’s defense. 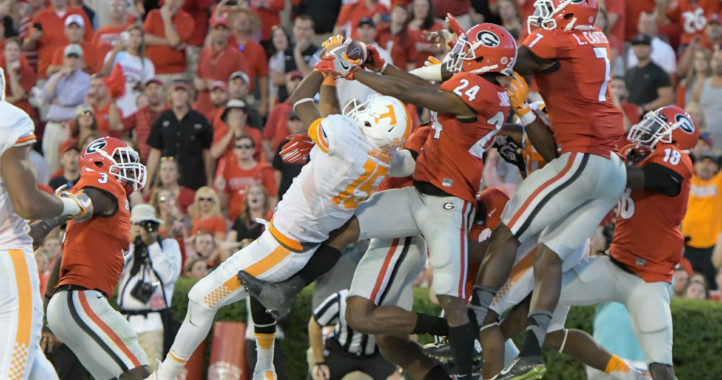 Something Kongbo had finally appeared to have found, after registering a season-high five tackles against Georgia and recording an interception against Auburn. 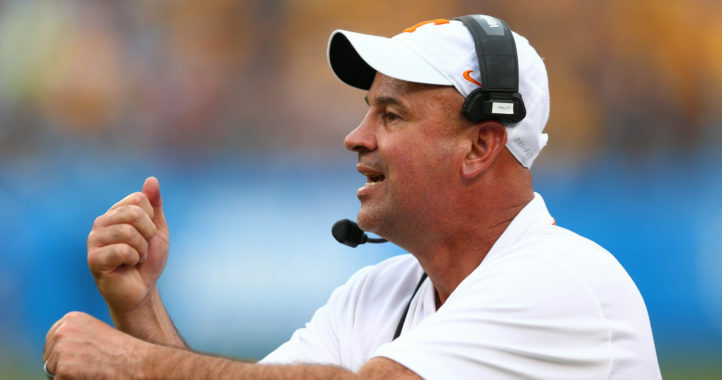 For a team that’s already thin at linebacker, Tennessee will have to find production at the position from an unproven player if the team is going to win a few more games to put itself in contention to make a bowl game. Best wishes to Kongbo. He played on helluva game yesterday. There. Fixed your sentence for you. 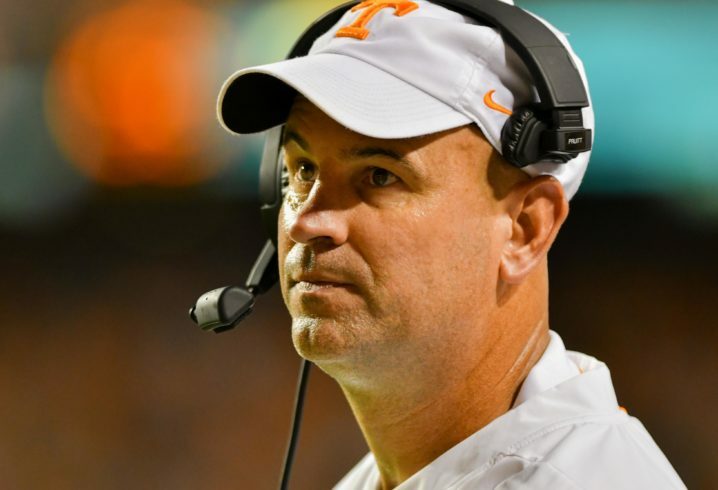 Just like Brandon Kublanow did to Shy Tuttle, another Tennessee player will miss the rest of the season with a career threatening injury and nary a penalty flag was thrown. Best wishes to Mr. Kongbo for a speedy recovery. I know I’ve dogged him in this space for not showing up, but damn if he didn’t show out on Saturday. Ditto. Best wishes for Kongbo’s recovery. They need to outright ban cut blocks-period. It makes no sense to retain this with the injury risk, particularly with the focus on limiting injuries across the board with rule changes such as targeting, no cut blocks off the line, and fair catch kick offs. Zero excuse for putting the health of these unpaid players at risk. Damm…that was a nasty block…NCAA needs to look at these type of blocks a little more closely. These are young men here with a possible future in the pros. Get well soon kongbo. Think he was finally turning the corner after finally being coached. He was still a year or so away and he should file a lawsuit vs jones for failing to coach him up. In fact most of jones teams should join in on a class action suit.